We are proud to partner with Sallie Mae and pleased to announce that Sallie Mae’s Tuition Refund Insurance has been selected again as a University Business Magazine Readers Choice Top Product. Tuition Refund Insurance from Sallie Mae Insurance Services, a service of Next Generation Insurance Group, helps students and their families protect the investment in education, helping further our mission to help families mitigate the risks of the college life-stage and promote student success. 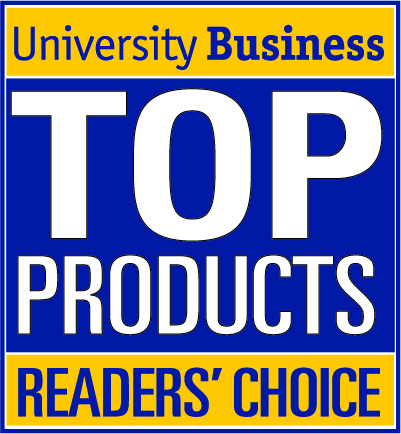 NEWARK, Del., Jan. 8, 2014 — For the second year in a row, University Business Magazine has selected Sallie Mae’s Tuition Refund Insurance as a Readers’ Choice Top Product for 2013. Sallie Mae’s Tuition Refund Insurance protects families’ investment in college by reimbursing lost tuition and fees as a result of a medical withdrawal. Dozens of colleges and universities offer tuition refund insurance to their families through Sallie Mae to provide peace of mind. The winners were selected by the editors of University Business from hundreds of nominations submitted by readers. Winners were selected based on both the quantity of nominations and the quality of the nomination submissions on each product. Sallie Mae Insurance Services offers America’s college students and young adults insurance programs that address their unique life-stage needs, including tuition insurance, renters insurance, life insurance and health insurance. In addition, Sallie Mae Insurance Services also provides colleges and universities access to specially designed insurance products, such as the Student Protection Plan, a package of benefits including Family Reunion services, ID theft protection, Roadside Assistance and other services to meet the needs of a typical college student. Sallie Mae Insurance Services is a strategic initiative between Sallie Mae and Next Generation Insurance Group, which is the licensed insurance agent for this program in all 50 states. Sallie Mae Sallie Mae (NASDAQ: SLM) is the nation’s No. 1 financial services company specializing in education. Sallie Mae turns education dreams into reality for its 25 million customers. With products and services that include Upromise rewards, scholarship search and planning tools, education loans, insurance, and online banking, Sallie Mae offers solutions that help families save, plan, and pay for college. Sallie Mae also provides financial services to hundreds of college campuses as well as to federal and state governments. Learn more at SallieMae.com. Commonly known as Sallie Mae, SLM Corporation and its subsidiaries are not sponsored by or agencies of the United States of America.